Most Economical Choice! The 12 inch Plastic Political Globe in a Semi Meridian stretches your school's dollar farther than any other globe. 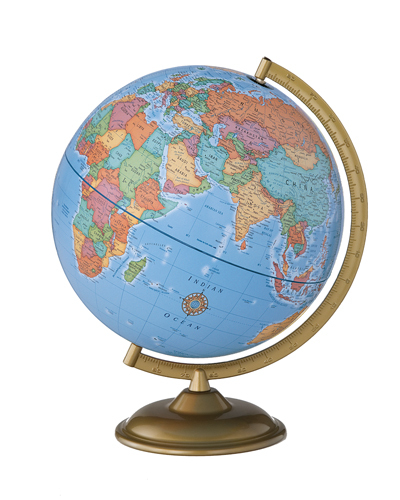 This Political Globe shows thousands of locations and geographical features highlighted in bright contrasting colors. Oceans shown in blue. Clear, easy-to-read type. This globe matches the Political World Map. This product was added to our catalog on Friday 02 January, 2004.